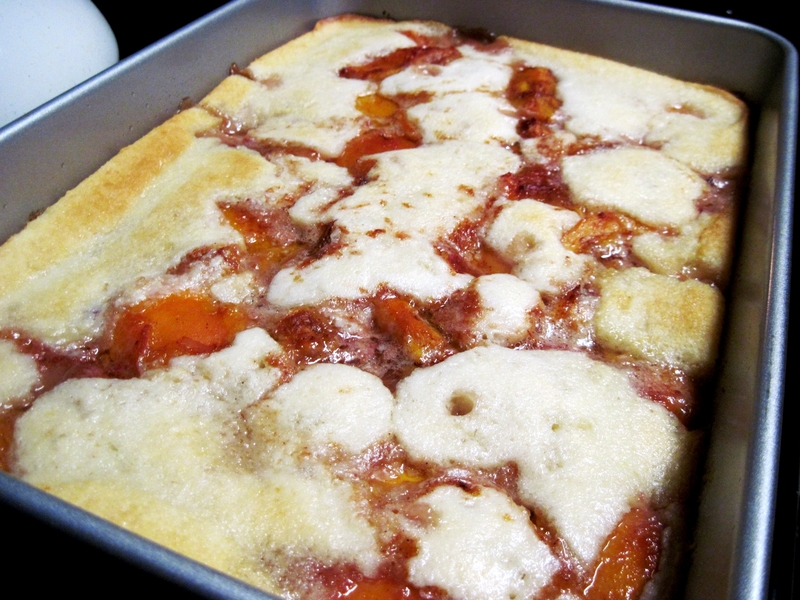 Besides sweet potatoes, one of the foods I dreamt most about while living in London was peaches. Juicy, soft, ripe peaches. The kind that taste like sunshine in tangible, edible form. After all, the sunshine I soaked up while operating on Greenwich Meantime was negligible. At least I could consume sunshine–working closely with milk to try my darndest to ward off a case of adult-onset rickets. I’ve made this recipe too many times to count. I receive frequent demands for it. Maybe I shouldn’t reveal the recipe’s simplicity and should continue to let people think that I’m some kind of cobbler connoisseur. I’ll be generous, though, and share the sunshine with others. I’ve adapted the recipe from the second recipe listed on this page. In case you weren’t aware, peaches and citrus, with their equally warm demeanors, pair wonderfully together. That’s why I blanch and peel the peaches the day before. Then I slice ’em up and put a bit of orange juice and/or lemon juice on them. Add some cinnamon, mix, and marinate in the refrigerator for as long as you can bear to wait. After you spoon the cold, citrusy peaches onto the melted butter and batter combo, the loveliest thing happens as the cobbler heats up in the oven. The batter rises up over the peaches, as though it’s trying to remove all memory of the peaches’ isolated, refrigerated past. 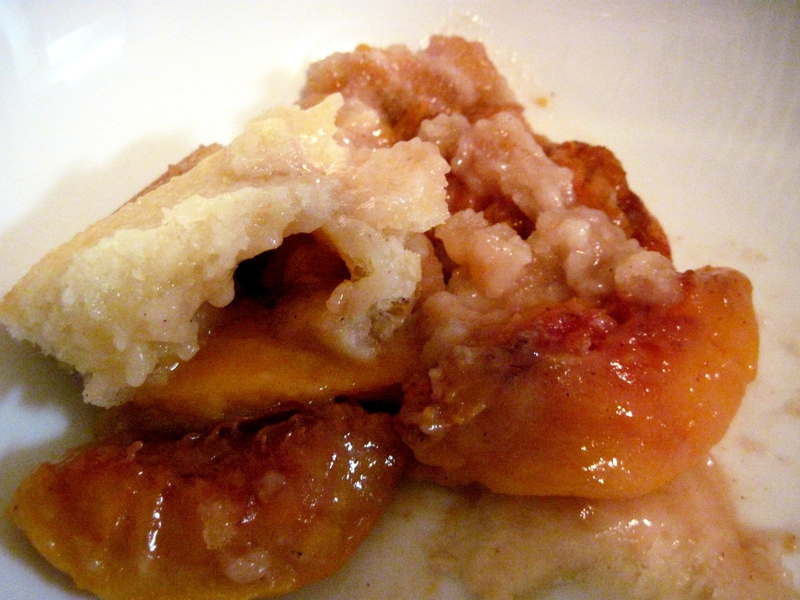 When butter-batter and peaches cuddle, cobbler results. At least, that’s what occurs in my world of food personification. 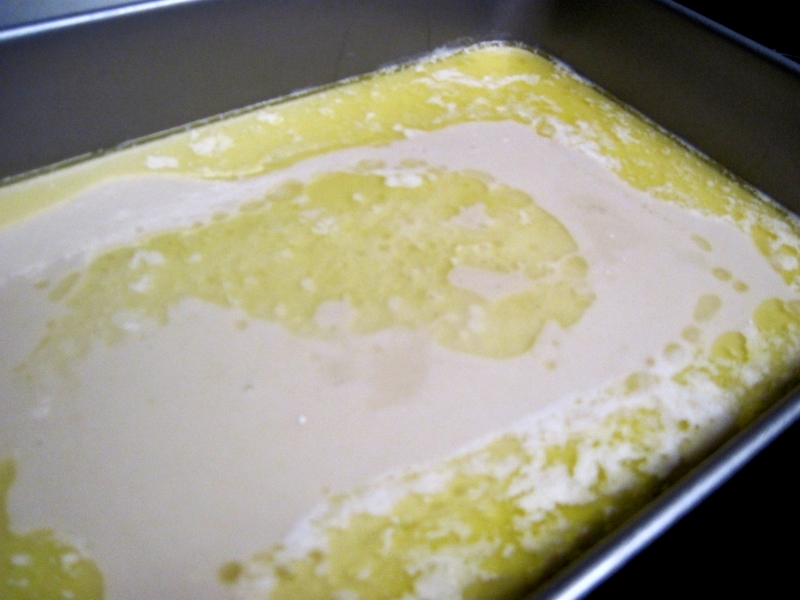 2) Put the butter in a 9×13-inch baking dish and put the dish in the preheating oven. While the butter is melting, mix up the batter by combining the flour, baking powder, salt, sugar, vanilla and milk. 3) When the butter is completely melted, remove the pan and pour the batter into the melted butter. 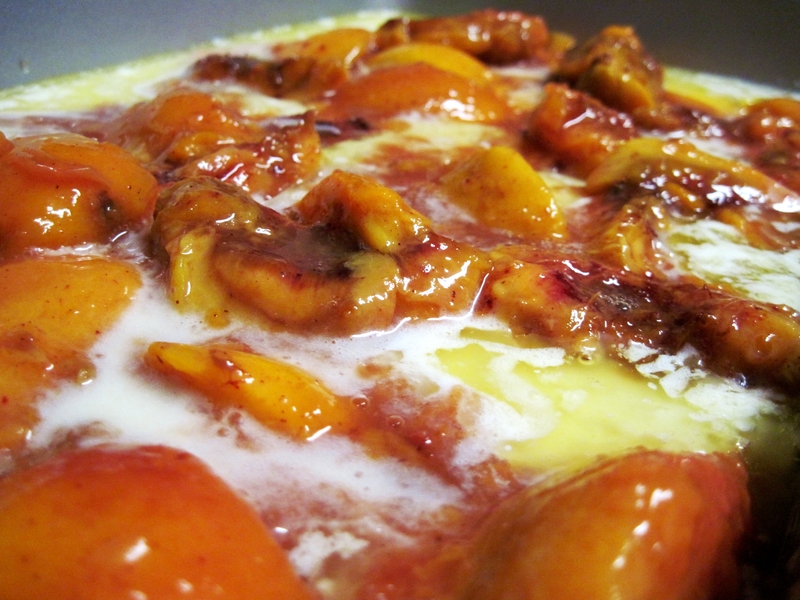 Then, carefully spoon the peaches and juice evenly over the batter. 4) Return dish to the oven and bake for 30 minutes. I pledge not to post about carbs next time. Seriously. Any recipe ideas that don’t involve a starch-a-palooza?